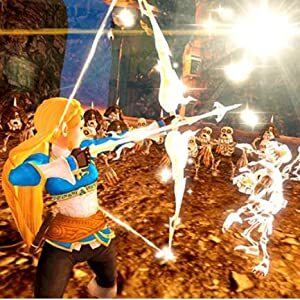 The Ultimate Hyrule Warriors experience! Battle alone or alongside a friend! 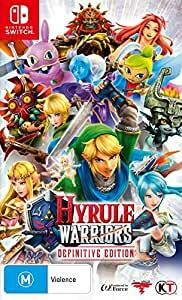 Charge into battle with Hyrule’s mightiest legends in Hyrule Warriors: Definitive Edition on Nintendo Switch. 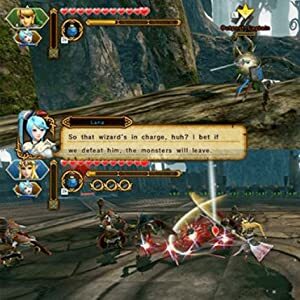 Cut down entire legions of enemies using powerful, over-the-top Dynasty Warriors-style moves, and dominate the battlefield as fan-favourite characters from The Legend of Zelda series. The delicate balance of the Triforce has been disrupted, and Hyrule Kingdom is being torn apart by a dark power led by Cia – The Dark Sorceress. 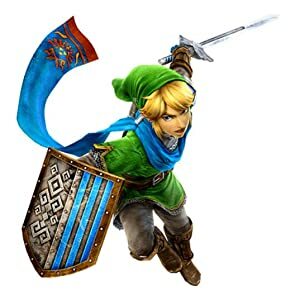 It’s up to the legendary hero Link and his team of warriors to face hordes of enemies and find the missing Princess Zelda. There are side stories to discover too – follow Linkle’s journey to become a hero, uncover Cia’s side of the story, or take to the seas with Toon Link and Tetra! 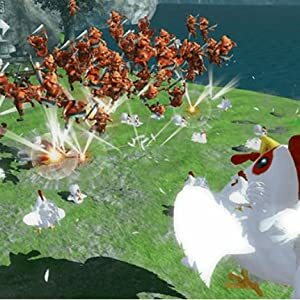 Fight off hundreds of foes with a range of incredible moves, put together combos to fell many enemies at once, and unleash spectacular special moves in your battle to save Hyrule. Switch between four allies on the fly to strategically position characters and defeat foes in new ways. 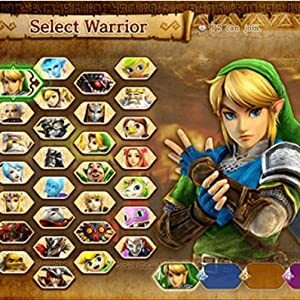 Collect Rupees and other useful items to upgrade weapons and craft Badges to bolster each warrior’s abilities. Replay previously cleared missions with any of the available characters in Free Mode – experiment with each character’s unique movesets and find your favourite to fight as. Explore a variety of maps from classic quests in the unique Adventure Mode. Complete varied objectives and find hidden secrets as you battle across Termina, Lorule, the Great Sea and more. However you choose to battle, you can go it alone or fight alongside a friend in split-screen co-operative multiplayer! 4.0 out of 5 starsGreat entry to the Warriors series. Picked this up for $30, and is well worth the money. If you've played a Warriors game, you know what to expect, but it does have surprising depth. Characters can play quite differently, and the difficulty is decently challenging at times. Visual design and sound are great as well, and it runs as well in hand-held mode as it does docked. Glad this made it to the Switch with all the dlc from the wii u version. Game looks and runs nicely and it’s amazing being able to play it on the go. Game was not “brand new” as it was not wrapped in the standard shrink wrap all games and dvds are wrapped in. The game has European code. Thank goodness the Nintendo Switch unlocked. 5.0 out of 5 starsFun game for children through to adult gamers. This game is good. It was a bit repetitive after a few levels but our family enjoyed the game overall. This game is worth buying to anyone who is considering purchasing it. Good game, but it isn't optimised for portable switch, some FPS drops, makes the fan run super hard and it drains the battery very fast. Arrived on time and works just fine.